During the Ottoman-Venetian Wars, the city of Candia, today Heraklion on Crete, was besieged for 21 long years. The siege of Candia, regarded as one of the longest sieges in history, lasted from 1648–1669. The Venetians had been ruling the land ever since the Fourth Crusade, and Candia was in a key position in the Mediterranean. The supremacy over the Mediterranean was the cause of numerous clashes between the two powers – Venice and the Ottoman Empire. They had crossed swords for it from the early 15th to the late 16th century when the Battle of Lepanto occurred. 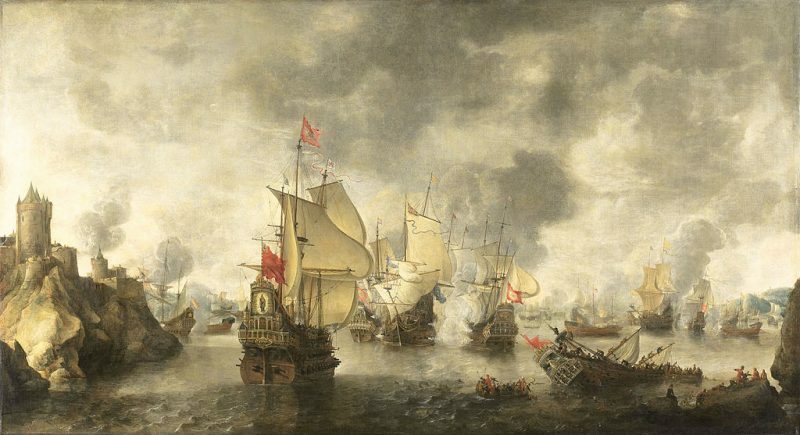 In 1644, the Knights Hospitallers attacked and looted an Ottoman ship carrying treasures and the sultan’s harem to Constantinople. It was an excuse enough for the forces of the Empire to land on Crete and start an all out war. 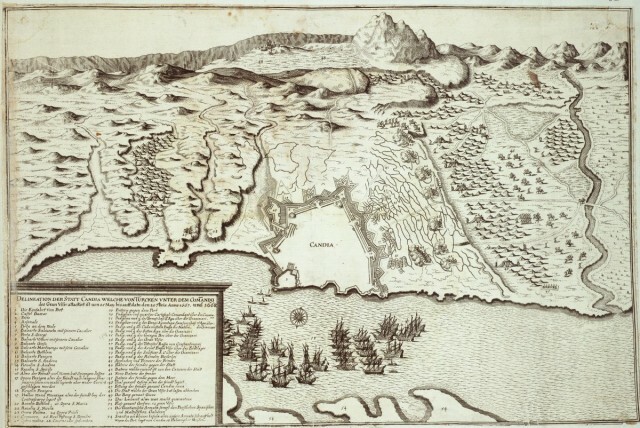 In just two months the Ottoman forces conquered La Canea and Rettimo, subsequently occupying the entire island. 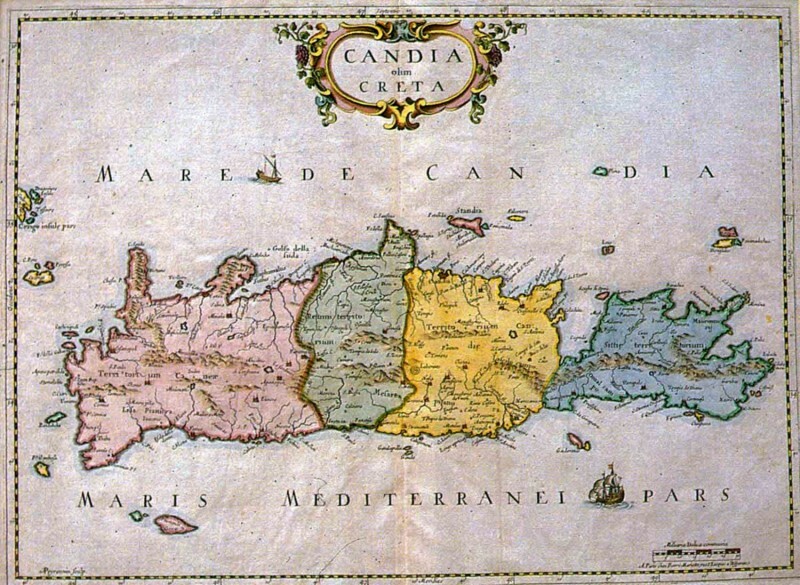 So, in 1648, their eyes were set on the capital city of Candia, the jewel in the crown. Throughout the 21 years of siege, the Ottomans would capture numerous territories and fight with the Venetians both on land and water. The prolonged conflict was expensive both for Venice and the Ottoman Empire, who sacrificed countless lives and treasures for control over Candia. After ravaging the countryside, the Ottomans finally descended on the metropolis of Candia on the 1st of May 1648. At the beginning of the longest siege in history, the Ottomans set up an elaborate network of siege lines, cutting off all supplies to the city. The Venetians pleaded for help from the European countries and His Holiness the Pope, but to no result. Europe was still shaking from the Thirty Years War, and England and Holland were in a trade agreement with the Ottomans. Venice, responding to the siege, also cut off the supplies to the Ottoman invaders and in 1649 the siege was lifted for a short while, but once the Ottomans were resupplied and received more units it continued. By 1650 Candia was still holding out against the invaders. The same year the Ottomans gained another reinforcement to continue their siege. 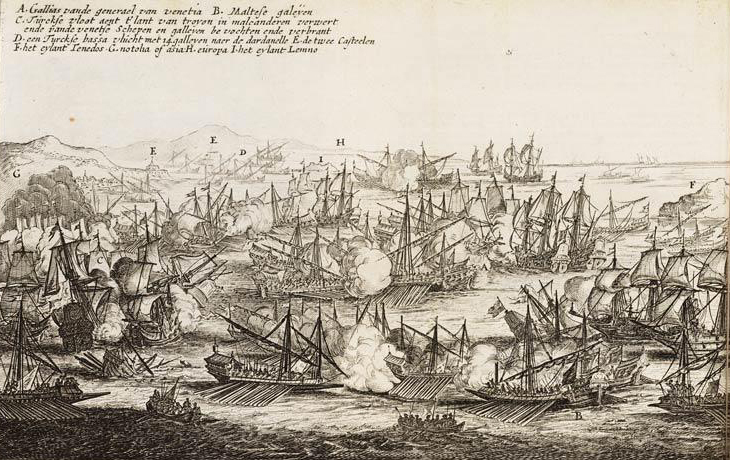 The Venetian blockade on the Dardanelle led to series of naval battles between the two forces, and although the Venetians won some great victories, there was no change in the situation at Candia. The city was heavily bombarded throughout the next 16 years. In 1657 the Ottomans won a decisive naval battle and ended the life of a great Venetian captain. Despite heavy losses on the Ottoman side, the siege continued. In 1666 again, new Ottoman reinforcements arrived on Crete. The came in the winter, with the Grand Vizier himself overseeing the siege. German map of the final phase of the Siege of Candia. The last phase of the siege of Candia began and in the next 28 months over 70,000 Ottoman soldiers died during attempts on the walls, along with about 38,000 of the siege workers. The defenders lost over 29,000 lives continuously repelling the never-ending attacks of the Ottomans. In 1668 a peace treaty was offered from the Ottomans, who suggested the Venetians keep half of Crete, but the defenders refused. Venice was eager to break the siege with the reinforcements they had coming and keep the entire island. Furthermore, they knew that the Ottoman court was in turmoil and politically unstable. Their hope was that the Cretan war would soon be over. In June, the first of the reinforcements meant to break the siege of Candia finally arrived. A French contingent with 6,000 soldiers and 31 ships anchored on the island. By that time, the city of Candia was only holding on by a thread. The outer wall of the city was taken, and a large part of it was in ruins. On June 25th, the French made a surprise assault on the besiegers and caught them off guard. The Ottomans lost that initial attack, but the French got confused in the trenches and broke their line, so the Ottomans quickly counter-attacked and defeated them. The second part of the Venetian reinforcements arrived, to the defenders’ great relief. In July, they made a combined effort to break the siege, bombarding the Ottoman line, firing as many as 15,000 cannonballs at the besiegers. However, the bombardment caused little damage to the Ottoman siege line, and the effort was ineffective. One of the French ships whose cannons were firing, Therese, was damaged in an incident during the bombardment and exploded, causing great damage to the ships nearby. After series unsuccessful attempts, the nightmare of the endless battles, lack of cooperation between the French and Venetians and the sickness that broke out, the French decided they had enough. On 20th of August, the French ships departed and left the Venetians to deal with the situation on their own. Five days later, the Ottomans made another assault on the fortress and were again repelled. Nevertheless, the commander of the defense, General Francesco Morosini, knew there was no way he could win or hold the siege any longer, for he had only limited supplies and no more than 3,600 men left fit to fight. Thus, on the 27th of August, the defenders of the city of Candia decided to surrender, without even reaching out to Venetia. Morosini capitulated to Grand Vizier Ahmed Köprülü and on the 5th of September, the remaining citizens were allowed to leave the city. According to the peace agreement, Venetia was even allowed to keep the possession of the Aegean islands of Tinos and Kythera, also some fortresses that were important for Venetian maritime trade in the Mediterranean. The war was effectively over in 1669 when the Venetian Republic gained some control over Dalmatia, and a peace treaty was signed.